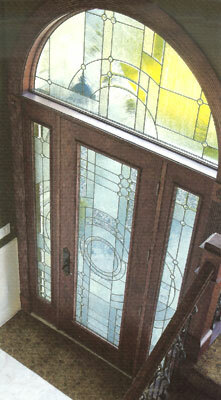 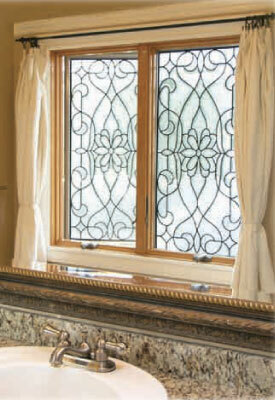 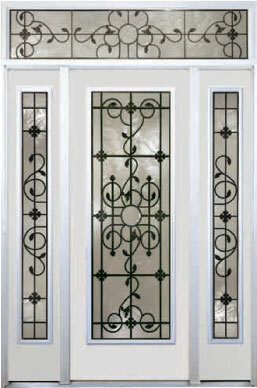 While our overlay process is extremely versatile, sometimes traditional cut glass is required. 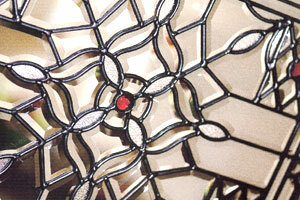 Separate pieces of glass - colored or textured - are cut and held together in a soldered metal framework to make a single panel. 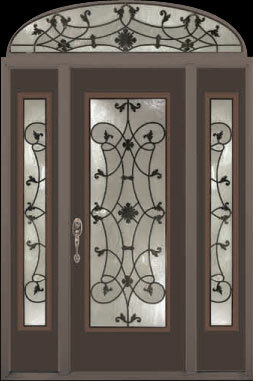 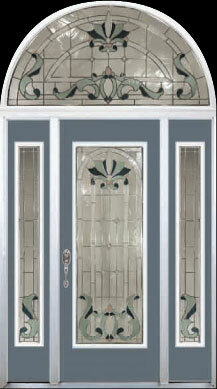 We're happy to offer both styles of decorative glass, each with their own set of advantages and limitations. 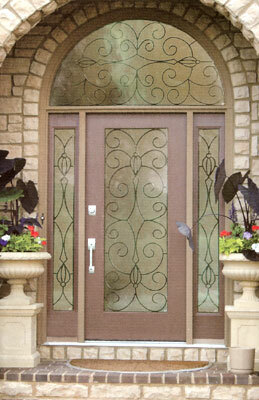 Choose from a catalog of standard designs and sizes, or commission a custom piece of cut glass. 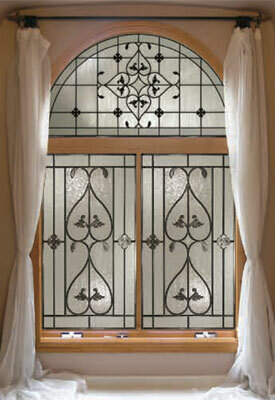 Either way, there are a wealth of clear and colored glass options, both transparent and opaque. Cut glass can be created as a single pane, or encased in an insulated unit, sandwiched between two pieces of clear glass.